The architectural styles and square footage in East Alvarado homes mostly consist of very Early Ranch style variations being Monterey Style and French Provincial with several Period Revival style homes as well. This district’s homes average around 1,700 square feet and are usually 3 bedrooms with 2 baths. Most of these homes have a detached garage at the rear of the property. 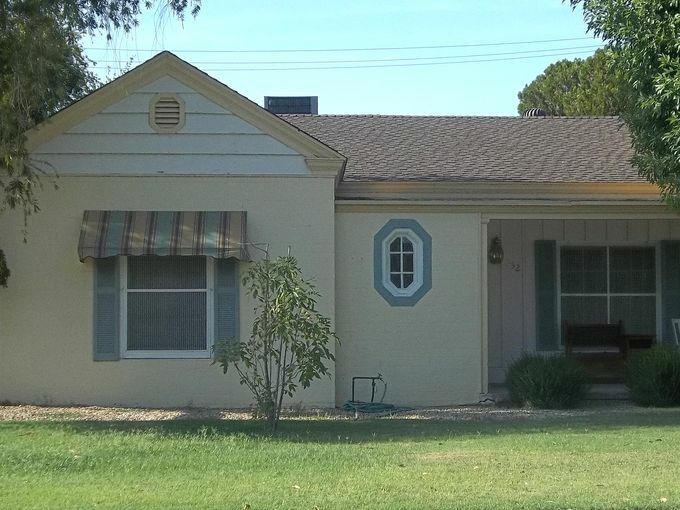 There are only 30 homes in this one block residential district, making East Alvarado one on the smallest historic districts out of all the historic districts in Phoenix. All the homes in the East Alvarado Historic District were built between 1937 and 1942 with the exception on one early speculative home built in 1930 which remained the sole dwelling in East Alvarado until 1937. The FHA (Federal Housing Administration) was largely responsible for this districts change in dwelling style, from simplified Period Revival’s to early Ranch Style homes, as they began standardizing house forms, materials, and construction methods dramatically changed the housing landscape.